The new American High Commissioner, John McCloy, is in Berlin today conferring with Allied and German officials as he takes over the direction of the United States stewardship of defeated Germany. In his first full-dress news conference in military government headquarters here, McCloy said that there would be no immediate change in our occupation policies, and that through hard work and patience he hoped that a final and peaceful settlement of the East-West differences over Germany could be achieved. At present McCloy has two titles. He is military governor of Germany until after the August 14 elections and the establishment of the West German state. After that there will no longer be a military governor but a High Commissioner. The difference in titles is significant, because as military governor McCloy has, as did General Clay, absolute power to order Germans in the American zone of occupation to do anything we dictate. However, with the formation of the West German state, we have relinquished this life and death authority over our zone, and have reserved only those powers which will enable us to prevent Germany from again becoming a military nation. This means we reserve the power of limiting police organizations and other such measures to outlaw German militarism. We also have ordained international control of the Ruhr to prevent the reemergence of war industries there. McCloy said he probably will need three headquarters in Germany: a headquarters in the West German capital of Bonn, a headquarters in Frankfurt, where military government machinery is located, and one in Berlin, the center of quadripartite negotiations. 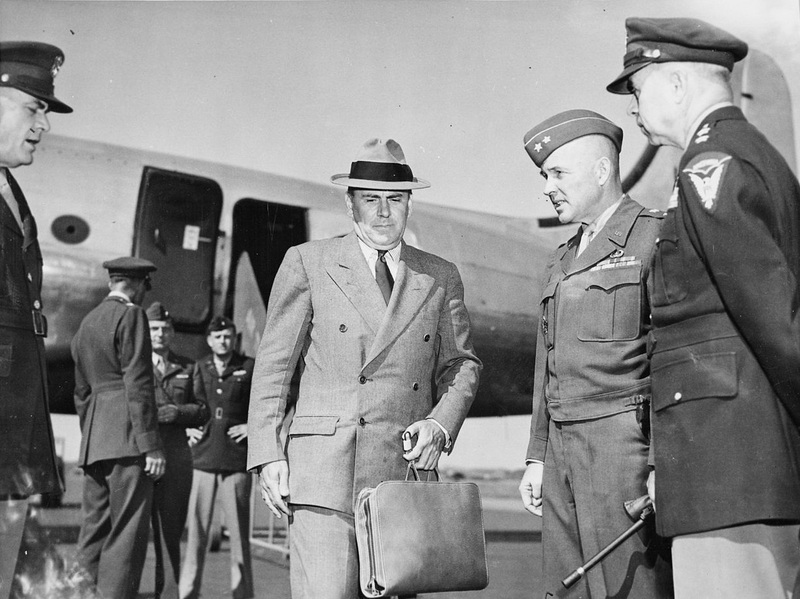 Asked what he intended to do about the airlift now that Berlin's blockade has been lifted, McCloy replied that the question of stopping or tapering off aerial deliveries depended on three things: the stockpile of food and fuel in Berlin, the international political outlook in Germany, and military considerations. The Anglo-American airlift delivered its two-millionth ton of supplies yesterday. To show something of the efficiency of Operation Vittles, it took eight months to deliver the first million tons. The second million was flown in in only four months. Serious efforts are underway this week to restore East-West trade in Germany—and subsequently in Europe—but discussions are surrounded by such political suspicion on both sides that the question of whether solid trade agreements can be reached still remains in doubt. The West German trade delegation meets with the economic council of the Soviet zone tomorrow. However, typical of the political sparring now going on under the modus vivendi agreement between the Big Four powers are the military government meetings here. The deputy military governors decided yesterday that the four Allied Berlin commandants will resume their conferences on the administration of this city. However, they decided that this would not be a resumption of the Allied Kommandatura, wherein, in the joint governing of the city, each nation can exercise a veto. The four Berlin commandants merely will sit down with each other, and if any decisions are made it will be the responsibility of each to carry out these decisions in his own way. 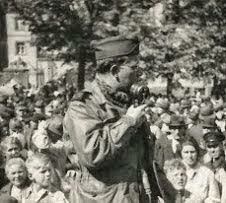 American High Commissioner John McCloy now is making a tour of West Germany to familiarize himself with his new job. He got along famously with the Soviet military governor, General Chuikov, when they met in Berlin last week. Everyone agrees that McCloy is getting off to a good start here. His arrival is now official. The Communist newspaper Neues Deutschland this morning welcomes him with the first party-line blast. "McCloy is a cunning representative of Wall Street," the paper says. "He comes to Germany with a big checkbook to buy the German economy cheaply for America's capitalists." British authorities have discovered a novel method of disseminating propaganda. The Elbe river crosses the Soviet-British zonal border southeast of Hamburg. A few weeks ago waterway police picked up two canisters floating in the river. They contained letters and drawings prepared by schoolchildren in the Soviet zone—propaganda messages attacking the Western Powers, obviously inspired by school authorities. This schoolwork is then sealed in the canisters, taken to the zonal border, and thrown in the river to be carried on into British territory.